Clouds of coal dust continue to choke the lives of helpless people living with an environmental death sentence in the vicinity of the Norochcholai coal power plant built by the Chinese. But some relief may be in sight from the pollution caused by the project developed by the Ceylon Electricity Board. 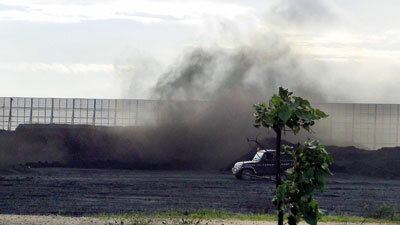 Inhaling coal dust can cause bronchitis, pneumonia, asthma, emphysema, and heart disease among other things. The dust blackens whole villages. Deadly arsenic, lead and mercury are also found in coal ash, also a waste product. 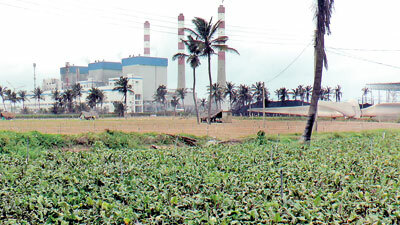 Residents of Illanthiadiya, where the power plant is, have complained for years that the coal dust has caused various respiratory and skin diseases. On hot days, they suffer unbearable irritation of their skin. 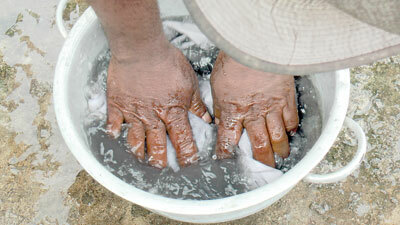 The plant’s hot waste water has also been identified by fishermen as a threat. 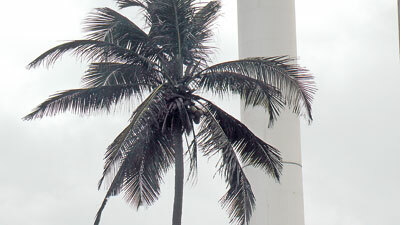 The coal power plant lies about 100 metres from the shore close to Narakkalli and Penaiyadi on the Kalpititya peninsula in the Puttalam District in the North Western Province. As a result of complaints to President Maithripala Sirisena and Prime Minister Ranil Wickremesinghe, at least now officials are waking up. The Central Environmental Authority chairman, Dr. Lal Mervin Dharmasiri, has directed officials of the Norochcholai plant to help reduce the health risks to people. The President has ordered the Environment Authority to act on the complaints. Dr Dharmasiri, Puttlam District Secretary M N M Chitrananda , Wayamba Provinvial Authority director Saman Kumara, Central Environmental Authority director Dr Sanjaya Rathnayaka, North Central Provincial Authority Puttalam District Deputy Director D M K Dissanayake, Kalpititiya Divisional Secretary H M S P Herath, and officials visited the plant with the Parish Priest at Arogya Matha Church at Illanthiadiya, and Puttalam District MP M H M Navavi. 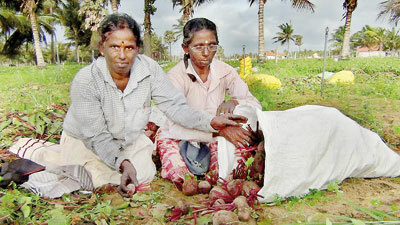 This team was headed by the Puttalam District Secretary. They are expected to hand over a report in two weeks and scheduled to meet every two weeks. The coal power plant, notorious for dozens of regular breakdowns in the past, generates 66% of the national electricity supply. 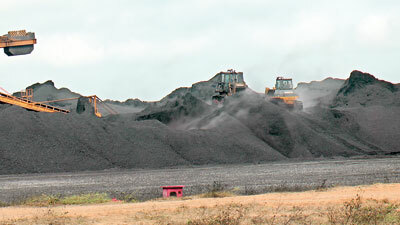 It is estimated that about two million metric tonnes of coal are imported for the power plant. From 2011- 2012 coal was imported from Indonesia and from then up to now it is imported from Africa, says the CEB. Officials say 910 metric tonnes of coal ash is released a year. Only a small amount of ash is used by the construction industry. The bulk of the toxic waste is stored in the plant premises. Seasonal winds carry the killer black dust into the villages.